Webservers are used to generate the dynamic content as well as static content. Clients send the http requests, process the request and gives response back to the user. Web servers process the html content, images, stylesheets elements. Popular webserver are apache webserver and Microsoft IIS. web server is most basic server to know in web based application development. 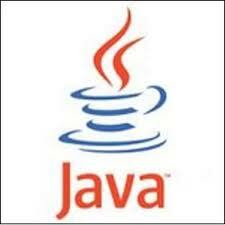 The application s are packed as folder as well as web archives developed in java, php or Microsoft net technologies. webserver is used for small scale projects. 1.Object lifecycle management:- This service is basic service in any application servers, and create a pool of objects, does garbage collection and share this objects states in among user sessions calls. 3. Security Management:- application servers provides different levels of securities including authorization and authentication with different providers like databases realms, text files, and different LDAP Providers. Provides security at domain object level, web resource level as well as web context level. 4.java messaging services:- Application servers provides in build java messaging services as well as integrated with different JMS providers like SUN MQ providers. 6. Load Balance and clusters:- To accommodate the load on the servers, group of application servers act as node, connected with group of nodes and serve the response even one of the node in group of node fails. 7. Fault Tolerance: - application servers provide the 99.999 up time to provide the reliable application with 367X24 up time. I have listed few services here, but there are more services provided by application servers. Difference between Application server and web servers is a basic interview question on j2eee world. application servers are used to provide the different business services as mentioned below, web servers provides receives the request and get the dynamic content and send the response to the client. Application servers are used in large scale enterprise projects, web servers are used in small scale projects. the architecture for application servers is N-tier node architecture where number of nodes are connected as clustered environment.